The Thanksgiving holiday is a time of year for reflection. It is traditionally when we express our thanks and gratitude for the people and things in our lives. We have so much to be grateful for here in our country. We have our state and national parks that spread from the Atlantic to the Pacific. We have ample food and we're the breadbasket for the world. Where I live down here in Palm Springs we have the great weather and wake up every morning to a view of the magnificent San Jacinto Mountains. But the one thing I'm most grateful for is Morgan, my rescued golden retriever. 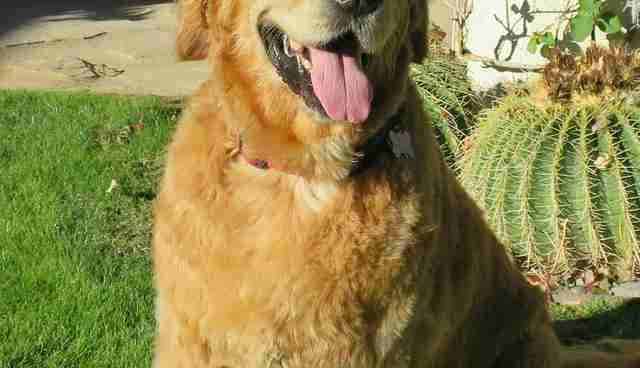 Many readers are familiar with the challenges that come when rescuing an animal. When we first picked up Morgan from Golden Retriever Rescue of LA eight years ago, he was skin and bones and full of fear. When we brought him home he was afraid of the steps. He recoiled away frightened. We finally had to carry him up the stairs to our place. After weeks of patient training, helping him slowly put one paw after another on step after step he finally reached the landing and overcame his fear. Of course, a lot treats helped along the way. In the beginning he was also afraid that we would take his food away. He even bit me once when I tried to add something to his dish while he was eating. Now he lets us move his bowl and wags his tail knowing he can expect something even better than he ever imagined. I have been reflecting on how fear can keep us from doing things we really want to do or even keep us from being with those we care about. With Morgan it took patience, training, and love for him to overcome his many fears. Right now our nation is gripped by a fear which could prevent us from doing what we love or from being with those we love. Let's all make an effort over this Thanksgiving holiday to reach out to those who may be full of fear and treat them with love and compassion. And maybe even offer them some holiday treats. And let us all give thanks for our brave military men and women and dogs who are risking their lives all around the world to protect this great nation and all of the good things that it stands for. 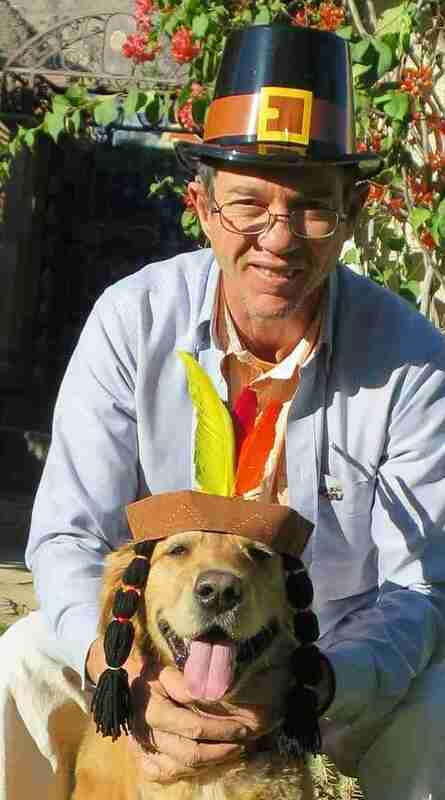 Morgan and I wish you and your families, two and four-footed ones, a happy Thanksgiving!